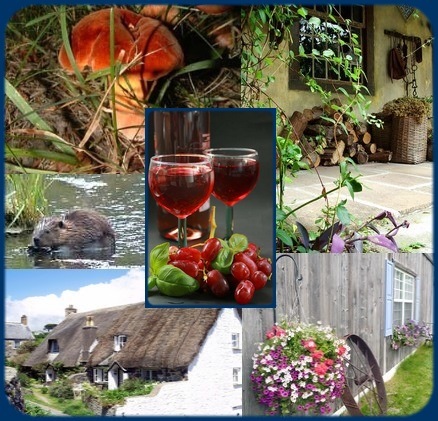 Country Living e-zine! Your free e-zine for Homesteading and Rural Living. 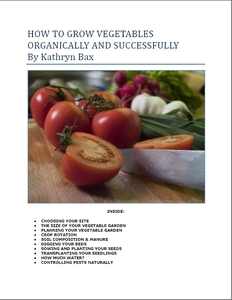 free e-Book "Growing Vegetables Organically and Successfully"
By the way, you will also receive our free, monthly Country Living e-zine. The Country Living e-zine is a free, monthly e-zine packed with gardening tips, monthly recipes and crafts, organic farming articles and much more. Country Living and Farm Lifestyles caters for those who are homesteading, farming or just enjoy the skills and crafts that go with rural living. You can unsubscribe any time if you don't wish to receive our e-zine any more. Below are some examples of our past e-zines to date. I will no longer be posting past e-zines to this page. So if you would like to get information that none of our website visitors see, then please subscribe by filling in the box above. Issue 2, Issue 3, Issue 4, Issue 5, Issue 6. Welcome our first issue of Country Living e-zine, a monthly e-zine for those farming and homesteading! If you are happy with your Internet traffic and sales - you don't need us! However, if you want to increase your farm shop sales, rent that farm accommodation or provide a farm service for the community then perhaps we can work together. As a brand new web site of just over 2 months we are fast moving up through the ranks despite the fact that we are still in the development stage. We are delighted with our rankings. Our Home Page is ranked #1 out of 1,570,000 hits for "country farm lifestyles". and #39 out of 59,600,000 hits for "country lifestyles"! Best of all, out of 100,000,000 websites, we are in the top 2%, which means we get loads of traffic and are seen! As a result we are confident that as our website grows, you could grow with us. If you would like to advertise with us and receive the benefit of having your full details revealed to our visitors, then please visit our site for more details. You have been sent this e-zine either because you feature on our website, or will do so in the near future as we complete our database. If you do not want to receive this e-zine in the future, please send an e-mail to [email protected] and you will not receive another e-zine from us. We wish you all the very best with your farming endeavours and would love to hear from you by either sending us an e-mail at [email protected] or by contributing to our web site. Country Living e-zine Feature : What Makes a Successful Farm Shop? 1. Location! Location! Location! With the ever-increasing costs of fuel, people are reluctant to travel long distances to buy farm produce because suddenly there is a painful deliberation, by the customer, of cost-effectiveness versus quality. Try to have your farm shop located near an area that will draw a lot of custom and provide parking facilities that are safe and secure. If your farm is not easily accessible, think about providing sales over the Internet. There is a strong demand for vegetables and farm products to be delivered, either through mail order, or delivery van, especially if they have been organically grown and produced. Therefore, if the customers are not coming to you, think about going to the customer! 2. Aesthetics plays a huge part in setting up your shop so that it is appealing to the eye and the senses. Display your products in woven baskets, for example, rather than in plastic crates. Create a theme for your shop and carry it through. A country theme could be achieved very cheaply by using straw bales, old farming instruments, growing lavender in pots or tin buckets etc. Think about what you could do to ensure that when your customers visit your shop it is a pleasant experience that they would like to repeat. Check your produce regularly, removing any spoilt food on a daily basis and only offering produce of a high standard. 3. Double the shopping experience if you have the space by selling arts and crafts along with your farm produce. There are many successful farm shops now that sell pottery, leather, paintings, wrought iron art, etc. Perhaps you could open up a small cafe for light refreshments, or provide luncheons,or you could sell herbs and plants as another line? By diversifying what you offer, you are also increasing the chances of both sales and more visitors to your shop. 4. What sets you apart from the thousands of farm shops in the country? Find your niche because the competition is fierce. Find something to sell that others don't to make you unique and to set you apart. 5. Finally customer service is what it is all about. If you have fulfilled all the above criteria, but still don't provide a cheerful smile when you serve your customers and are not prepared to go the extra mile, you will not get the return service that builds you a large customer base. People like to feel that they are getting good value for money and are important to you as their customer. This is where you can shine, and where supermarkets loose out, as there is no special relationship like you have the potential to capitalize on, and to edge them out of the competition. Are you looking for romance in the country? Be brave enough to be the first in placing a short biography of yourself on our website. All personal details are kept secure until you give us permission to release them to those you have selected. Submissions are free. Why wait when you may be missing a chance in a lifetime to find true happiness? Life is too short to spend it on your own! Visit our dating page created especially for farmers and lovers of the country at our page called "Country Hearts" http://www.countryfarm-lifestyles.com/DatingFarmers.html for more details. With the height of summer nearly over, those black berries and raspberries are ripening in the fields. There is only so much jam or fruit and apple crumble one can consume. Why not try this delightful berry ice cream instead? It is really good, and the colour is a delight. 1. In a large pan combine the first 4 ingredients, but only add 4 cups of the milk, and put the other 2 cups aside until later. 2. Heat the mixture over a medium heat until the liquid is very hot to the touch, stirring constantly. 3. Remove from stove just before boiling point, and place in the refrigerator. 4. When the mixture has cooled, strain 3/4 of the berries through a sieve to remove most of the seeds. Then add to the mixture. 5. Now add the balance of the whole berries to your mixture, for texture. 6. Place in a plastic container. After 45 minutes check to see if the mixture has started to freeze at the edges. Then stir vigorously through the ice cream, turning it over to break up the ice crystals. Do this every 30 minutes until it turns into ice cream. This could take 2-3 hours. 7. When ready to serve, throw a few whole berries over the ice-cream with a sprig of mint to finish. To shorten the time it takes for your ice cream to set, pour the mixture into a clear, water-tight, plastic bag, big enough to hold all the liquid and still remain water-tight. Fill another clear, water-tight, plastic bag (twice the size) with 8 Cups of ice cubes and 4 Cups of rock salt. Place the sealed ice cream bag into the larger bag filled with rock salt and ice, making sure that both bags remain water-tight. Now gently shake the bags for 10 - 15 minutes taking care not to cut the bag with the ice cubes. Double bagging can prevent that. Within 15 minutes your ice cream should be ready. You may want to use some protection on your hands, as that bag can get really cold! Well, we hope that you have enjoyed reading the first issue of our Country Living e-zine, as much as we had fun writing it. We also hope that you will stay with us for a long time, visit our web site for updates, and feel free to contribute to the articles. We have a special page for farming stories. I am sure that you have one or two to share. As a result we are confident that as our website grows, you could grow with us. If you would like to advertise with us and receive the benefit of having your full details revealed to our visitors, then please visit our site for more details.You will be amazed at our reasonable rates!